The Deity Fudo and the Priest Mongaku - Fantastic scene of the Priest Mongaku doing penance at the rushing Nachi waterfall. After mistakenly beheading his beloved, the beauty Kesa gozen, while attempting to kill her husband, the warrior Endo Morito renounced his evil ways and became a Buddhist monk, taking the name Mongaku. He prayed for twenty-one days under the icy waterfall, only surviving with divine assistance. 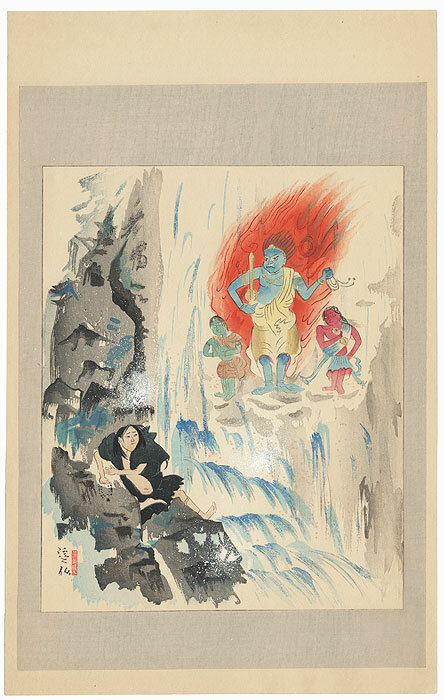 Here, he clings to a rock beside the falling water as three deities appear on a floating cloud to help him. 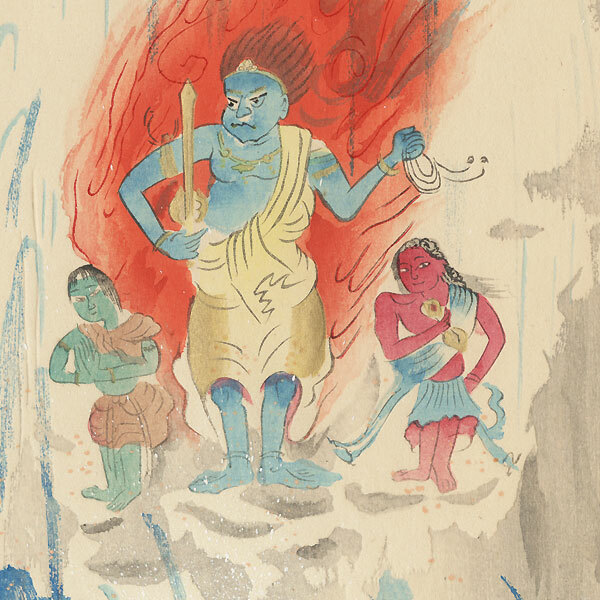 In the center, Fudo Myoo is surrounded by a blaze of flames, holding a sword to strike down non-believers and a rope to bind them. He is accompanied by his heavenly attendants, Kongara doji and Seitaka doji. Hand-applied white gofun pigment creates the spray from the rushing water, and subtle gold mica highlights Fudo's sword and jewelry. 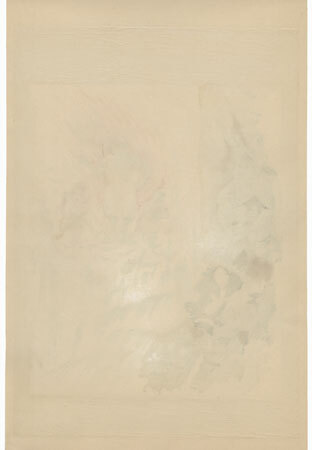 Beautifully carved to capture the painterly quality of the strokes. A handsome illustration of this famous subject.